Dressage is a thinking sport, riding is about strategy. Following on from my P is for Preparation post – what do you consider to be the most important aid on a horse? 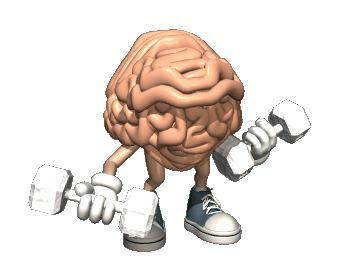 It’s your brain and how quickly you are able to process the huge amount of information you need to ride and perform Dressage and indeed work your body at the same time! You have to be quick and sharp. In a dressage test there are a succession of movements, one after the other, all requiring different thought processes, aids, body movements in which the aim is to do as little as possible. Here’s what to do … be a mind-ful rider, be alert and focused, constantly evaluate and re-evaluate the merits of what you do. A non-thinking rider is mindless! Proof is found when you stubbornly stick to one solution, even if it does not appear to be working! You need to take steps to increase your awareness; think about why the exercises and skills you need are important; learn why you need to do what it is you are doing; take responsibility for yourself; keep track of your goals; try to be open to different and creative problem solving; be in charge of your own riding destiny. It takes time to develop confidence in your own decision making and problem solving ability, just as it takes time to exercise the muscles of the body so it takes time to exercise the brain … don’t be too harsh on yourself if you don’t think you have developed these skills yet, it will come. You will get quicker! Mmmmm lots of food for thought there. For me it’s also about taking responsibility…which ties in with the other posts about no being reliant on others to tell you what to do. It’s about learning more about what it is you are asking of your horse and recognising when you have got the correct response. So I only really feel that I am now becoming more independent because I am believing in my ability. It’s a confidence thing.